Intense fighting continues on Horseshoe Ridge. The fighting ebbs and flows across the crest of the ridge. Gracie and Kelly’s Brigades of Preston’s Division deploy to attack behind Kershaw. Cleburne’s Division begins to redeploy. 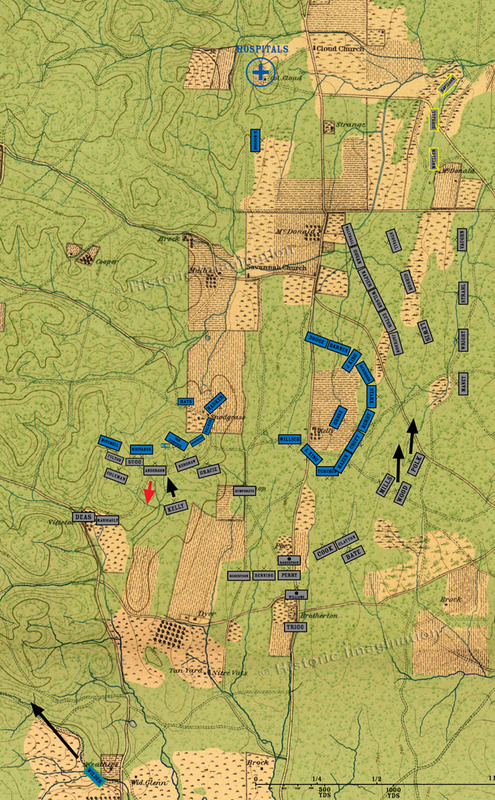 Wood and Polk’s Brigades move to the right of Mills, extending the line to the north, and taking cover behind the ridge. Wilder’s Brigade and the attached units begin their retreat from the vicinity of the Widow Glenn cabin at about this time. The timing is not exact, but they leave around this time, gathering more stragglers. They head due west, cross over Missionary Ridge, and make their way up the valley toward Chattanooga.